The rainy season is the perfect reason to party with your loved ones. Whether you’re thinking of a grand gathering or an intimate celebration, we’ve got tips on how you can add a personalized touch to your indoor party. Together with today’s famous and favored non-alcoholic delightful drink, May 100% Sparkling Grape Juice, check out the following useful tips on how you can pull off a simple but stand out get together with your family and friends. 1. Get your theme on. Catch the attention of your guests in a flash by thinking about a theme they can follow. From the Classic 80’s to Star Wars, from James Bond to Avengers, or from Sesame Street to Harry Potter, think of something out-of-the-box! We promise it’s a great way to kick off your rainy day of fun. 2. Play the right music. From small talks to nap-inducing activity, an indoor party has a way of boring your guests. Music change that. Start off with a mellow music then pump it up with a playlist that will encourage everyone to tear it up on the dance floor! 3. Impress your guests with finger foods and fondue. Serve foods like a heaping cheese plate, corndogs, or mini muffins. Easy to prepare, simple to arrange, and exciting to assemble, it’s also crowd-pleasing and sufficiently satisfying. And elevate your indoor entertaining efforts with an epic chocolate fondue to chocolate-cover everything, of course. Try this easy-peasy recipe: In a bowl, combine the bittersweet chocolate bar and chop into small pieces. Add ½ cup milk or cream and melt gently in the microwave for about 2 minutes. Stir until smooth and add milk if the sauce is too thick. Add vanilla ½ teaspoon of a vanilla extract and stir. Dippers could be brownie cubes, pineapple chunks, apple slices, and marshmallows! 4. Let the games begin. The best way to gather all your favorite people together is to spruce things up with a fun game. Check out Heads Up that’s best for injecting life to the party and bringing some order to chaos! Simply download the app on your phone and divide groups into two for a hilarious guessing game that’s perfect for both adults and kids. 5. Set up a non-alcoholic bar area. Bring together your guests by setting up a mocktail corner to put your guests in a cheery mood! Fizzy and bubbly, this drink is also guaranteed kid-friendly. 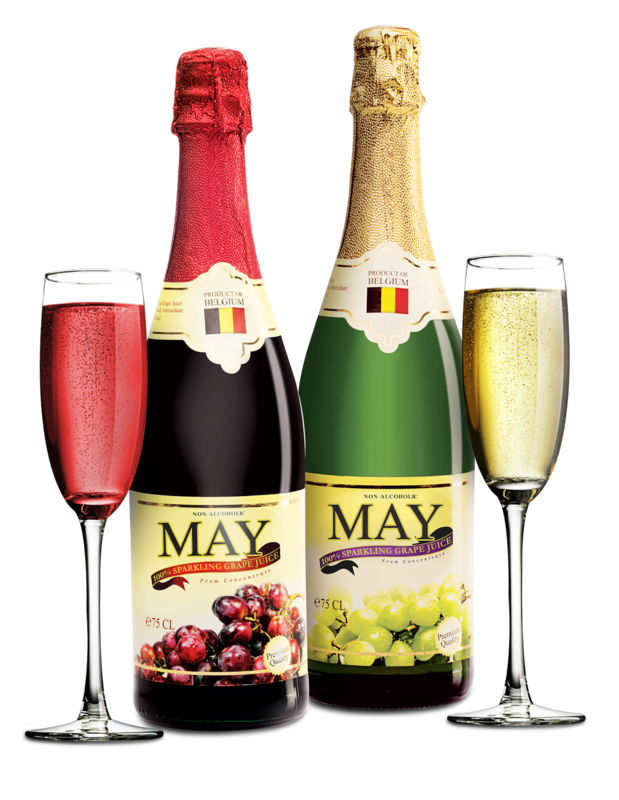 So pass around some bottles of certified non-alcoholic red and white variants of May 100% Sparkling Grape Juice that’s made of selected, high-quality grapes from Belgium. You can also up the ante by installing a bar area where guest can pour out unlimited refills of this fun and wholesome drink. To make it even more memorable, serve a mocktail made of May 100% Sparkling Grape Juice and let your guests delight into something fancy. 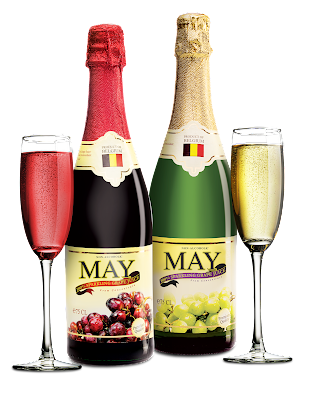 Refreshing and can be enjoyed by everyone regardless of age and dietary restrictions, May 100% Sparkling Grape Juice is delightfully ideal for joyful events filled with light-hearted cheer. 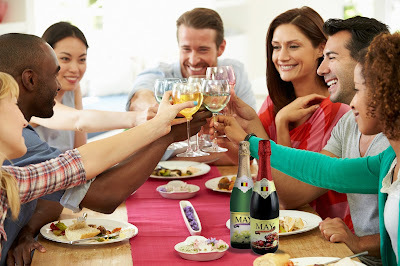 This rainy season, celebrate with people who are close to your heart. Plan out a seriously fun party because there’s always a reason to say Yes to May and raise your spirits when you need a dose of festive fun during the rainy months!